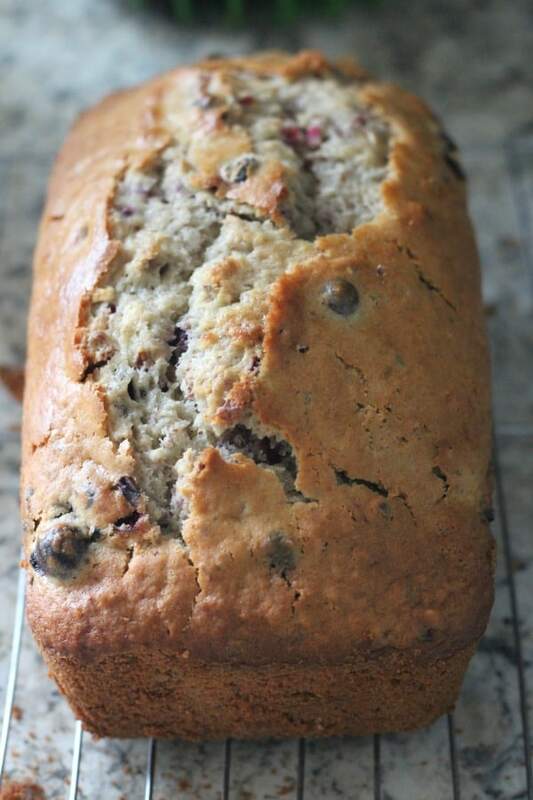 September 22, 2018 7 comments on "Cranberry Nut Bread"
I love making quick breads for fall and the holiday season. 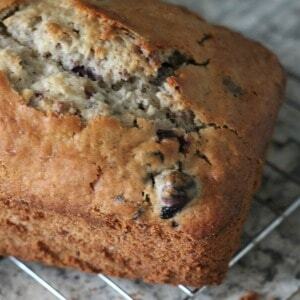 This cranberry nut bread is definitely on my family’s list of favorites. Make a couple of loaves of this easy quick bread and put them in the freezer to have on hand for last minute holiday parties and get together’s. This recipe makes one 9x5x3-inch loaf of cranberry nut bread. If you want to make more loaves to save time later, just double or triple the recipe. Preheat oven to 350 degrees. Grease and flour a 9x5x3-inch baking pan. Mix together 1/2 c. sugar, walnuts, and cinnamon in a small bowl. In a large mixing bowl, stir together 1 c. sugar, 2 c. flour, baking powder, and salt. Mix the egg, milk, and vegetable oil in a separate bowl. Mix egg mixture into flour mixture until just barely moistened. Stir in chopped cranberries. Pour half of the batter into the greased and floured loaf pan. Sprinkle half of the walnut mixture on top of the batter. Pour the remaining batter on top of the walnut mixture. Mix the remaining walnut mixture with melted butter and 1/4 c. flour. Stir gently. Sprinkle nut mixture on top of the batter in the loaf pan. Bake this cranberry nut bread for 60-65 minutes. Remove from oven when a toothpick inserted in the center of the bread comes out clean. Cool bread completely in the pan on a wire baking rack before removing from pan. Cool completely before slicing. To freeze bread, wrap cooled bread in aluminum foil and freeze for 2-3 months. Follow my breads and rolls board on Pinterest. 7 Comments on "Cranberry Nut Bread"
I had no trouble with this recipe. It turned out beautiful, in fact, I added a very ripe banana to the milk mixture and needed to bake it 65 minutes. Rose just like the picture. If I remember correctly, it does sink down into the batter while baking. If using fresh cranberries do you boil them first. I have only used dried. Nope! You don’t need to boil them first. They will cook and soften in the bread. Are these fresh or dried cranberries? Hi! This recipe uses fresh cranberries, but I’m sure you could use dried cranberries too.